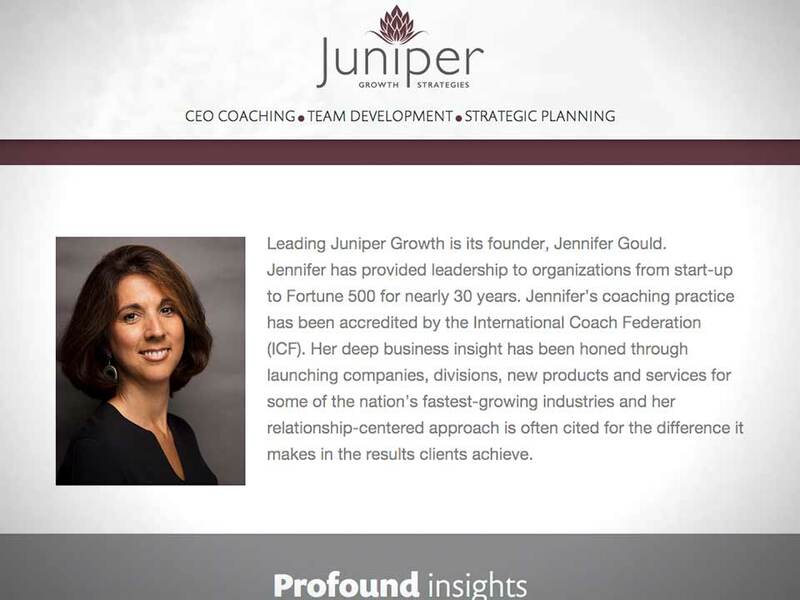 Jennifer Gould is a Gestalt-trained executive and team coach with a passion for creating close, trusted relationships and fostering sustainable, fulfilling cultures in large companies. She came to us with a stream of referrals from clients she had converted into true believers, but felt awkward without the tools to create a compelling first impression that oriented clients to her approach. We performed a brand voice evaluation for Jennifer, going so far to help her through the process of renaming her company. 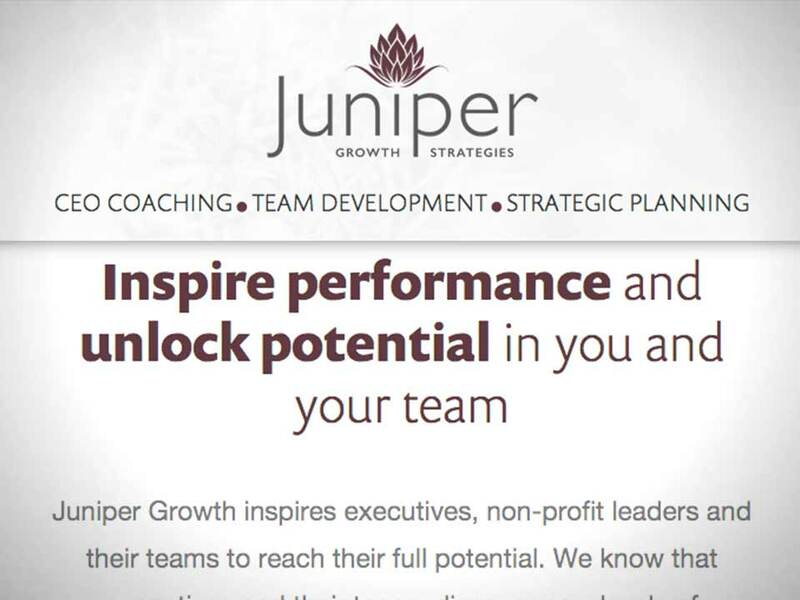 Juniper Growth Strategies as a personal brand that felt professional, flexible and personal. We identified the most compelling language she and her clients were using about her, amplifying clear and exciting language and filtering out confusion and unnecessary complexity. We developed a logo that felt at once organic and energetic, bursting with potential energy and mirroring the results she inspires in her clients. 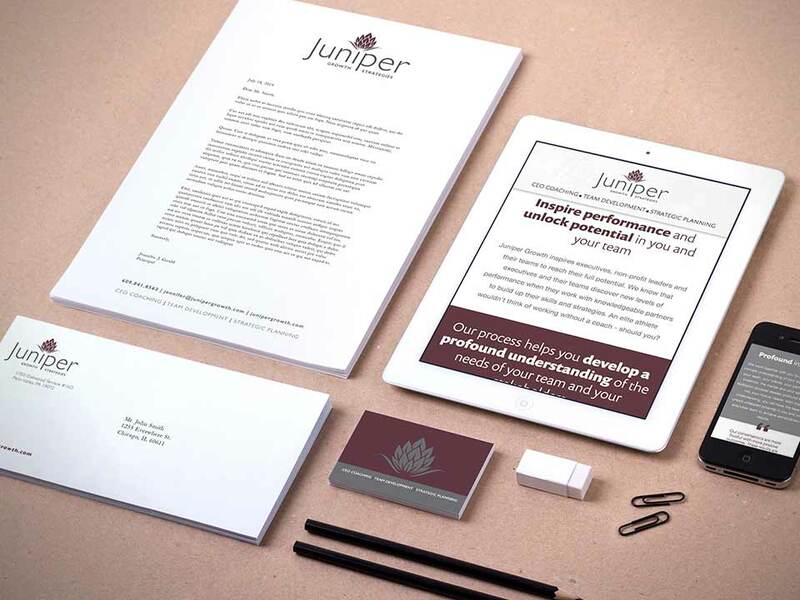 We put together the tools she needed to make some first impressions – a brand package of business cards and stationery, and a modern responsive landing page to help clients get to know her and witness the effect her work has on other clients.